3 So, What Can I Do About This? 3.1 That Doesn't Work For Me. Is There Anything Else That Can Be Done To Get My Nexus 6 Activated On Verizon Or Sprint? 3.2 What About Devices Purchased From Motorola? 3.3 What About US Cellular? When Google announced the Nexus 6, most of us were probably quite pleased. For the first time possibly ever, we have one single SIM-unlocked phone that supports every single LTE, CDMA, UMTS, and GSM band in use by every major US carrier. For icing on the cake, all the major carriers were on board to sell the device as well. This is truly a "mobile device freedom" advocate's dream come true. Unfortunately, it's not quite as simple as it sounds. Allow me to bring you back to childhood for a moment, specifically that time when you were 8 and your mom told you, "If something seems too good to be true, it probably is." That's exactly what's happening here. Yes, the Nexus 6 works on AT&T, Verizon, Sprint, T-Mobile, and US Cellular. 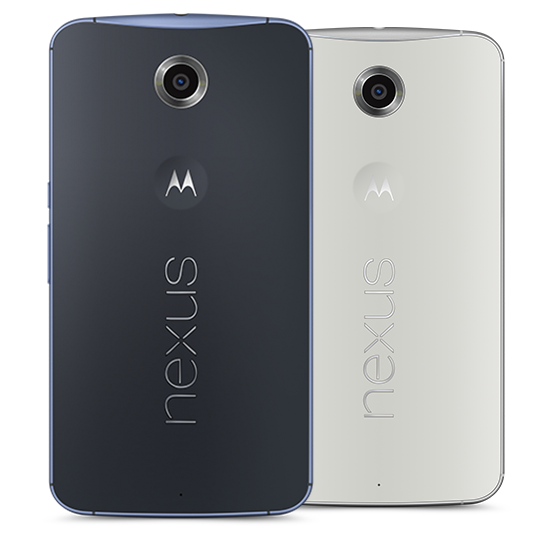 Further, all Nexus 6 devices sold in the US, regardless of who sold them, are exactly the same - Motorola model XT1103. With all that said, the harsh reality is that your ability to activate your Nexus 6 on a particular carrier is extremely dependent on where you bought it. Two of the top four US carriers - Verizon Wireless and Sprint - use CDMA2000 technology for voice calls and 3G data as opposed to GSM like most of the rest of the world. Generally, a CDMA carrier will only allow your phone on its network if it falls within its list of approved devices. This is done by whitelisting IMEI number ranges. Every mobile device that gets released has a set of IMEI numbers assigned to it. Based on the device's IMEI, you can tell its model number, where it was originally purchased, and other metadata such as how much internal storage it has or what color it is. Even though every Nexus 6 sold in the United States is a Motorola model XT1103, a phone sold by T-Mobile will fall within a different range of IMEI numbers than will one purchased from Google Play or Sprint, for example. If you bought a Nexus 5 from Google Play or Sprint, and could find a Sprint store that actually had SIM cards (more on this later), you could activate a new SIM and be on your merry way. If you bought a Nexus 5 from T-Mobile, Sprint would not activate it because T-Mobile's Nexus 5 IMEI range was not in its database of approved devices. The fact that Nexus 5s sold at T-Mobile were the same as ones sold anywhere else in the US is completely immaterial. Verizon did the exact same thing with the 2013 Nexus 7 LTE. Once it finally got around to whitelisting the Nexus 7's IMEI numbers five months after launch, they only did so for devices sold from Google Play and Verizon. If you bought from T-Mobile, you weren't going to activate it on Verizon through normal channels. Reports are in from early adopters, and it appears that this vicious cycle will be repeating itself yet again. People are running into roadblocks with activating their phones on Sprint. The carrier's customer service reps are apparently telling people that only devices purchased from Google Play or Sprint are eligible for activation. As you can see, if you want the option to switch to any of the supported carriers on a whim, then you should buy it from Google Play. For AT&T and T-Mobile, you can buy it from anywhere that will sell you one because those carriers use GSM technology and do not whitelist IMEI numbers. They don't care where you bought it and will happily exchange you money for a SIM card. If you're looking for service on one of the CDMA carriers, though, you're going to need to buy from Google Play or the carrier you choose. That Doesn't Work For Me. Is There Anything Else That Can Be Done To Get My Nexus 6 Activated On Verizon Or Sprint? If you already have active service with Verizon, then you're in luck. Thankfully, Big Red only whitelists devices at the customer service level. It doesn't do so at the network level. That means that if you have an already-activated SIM card, you should be able to put it into any Nexus 6, regardless of place of purchase, and have it work just fine on your Verizon line of service. Just keep in mind that your phone will show up as "Non-VZW Device" in Verizon's system and thus, changing plans, getting a new SIM card, and other account changes will probably require a visit to a Verizon store or a call to customer care. 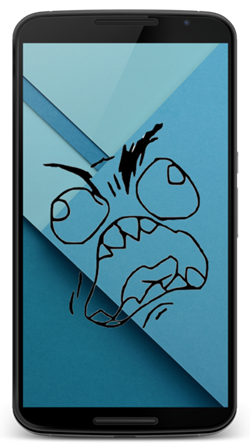 Another thing to remember is that the Nexus 6 takes a nano SIM. Unless your current device also takes one, you'll need to cut your current SIM card down to nano size. Verizon will not issue you a SIM card that's a different size than what's listed for the device it has on file for your account. Go into a Verizon store and find any Android device on display that takes a nano SIM. I'd recommend an HTC One M8 or DROID Turbo. Go into the dialer and dial *#06#. This will bring up the device's IMEI number. Take a picture of the number. Go online to Verizon's website, set up your new line of service and for a device, choose "Bring My Own Device." When asked for the IMEI number of the device you want to use, enter the number you got from the display phone. Finish the process and Verizon will send you a SIM card via FedEx. Once you get the SIM card, complete the online activation process using the instructions provided in your SIM package. Once complete, put the newly activated nano SIM into your Nexus 6 and after a minute or two, you should be activated and ready to go. Unfortunately, when it comes to Sprint, you have no options but to play by the rules. Whether you want to use your existing SIM card or set up a new line, you're going to have to buy your Nexus 6 from either Google Play or Sprint, and it's pretty much as simple as that. Sprint still whitelists devices at a network level, and SIM cards may as well not exist. They simply serve as a means to an end for its suite of LTE-enabled devices. Most Sprint stores don't even carry SIM cards because the assumption is you'll never need to change it. For perspective, Nexus 5s purchased from Sprint didn't even include a SIM ejector tool in the box like every other variant in the world did. Behold the rare treasure that Sprint doesn't want you to see. The SIM card has to be tied to a valid Electronic Serial Number, or ESN, in order to work on Sprint's network. In the pre-LTE days, all CDMA devices had an ESN. These days, however, the IMEI number serves as the ESN on just about any CDMA/LTE device. 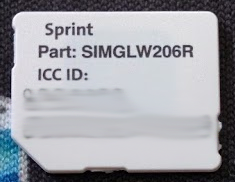 Sprint SIM cards, while removable, are not really intended to be swapped between devices like they can be on most carriers. With that said, if you were to take your active Sprint SIM card out of an existing device on your account and put it into your Nexus 6, it won't work. You would first have to call Sprint and have customer service change the SIM-IMEI association so that your SIM card number was paired with your Nexus 6's IMEI number. Put simply, they won't be able to help you do that if you're trying to use a Nexus 6 for which Sprint doesn't have the IMEI number. What About Devices Purchased From Motorola? Presently, neither Verizon nor Sprint seem to have IMEI numbers for Motorola-purchased Nexus 6s in their databases. For Verizon, an existing SIM card will work without issue, but if you need a new line, you'll have to follow the workaround above. If you're a Sprint customer, you're out of luck unless the carrier whitelists those devices down the road. We haven't made much of a mention of US Cellular in this post because it's very difficult for us to verify any of the above information as it relates to that carrier. If we come across any useful information about US Cellular's policies regarding the Nexus 6, we'll update this post. To be safe, though, assume you have the same options as Sprint. Buy from Google Play or from the carrier. Thankfully, CDMA is going away slowly but surely. Eventually, both Verizon and Sprint are going to move their voice and data networks entirely to LTE and this problem will likely just go away. Until that day, though, we're going to have issues like this. With that said, Google and Motorola still deserve a lot of credit for creating a single device that has all these protocols and bands built in, even if the carriers don't make it easy for us to use the devices in the way that Google would probably like. Knowledge is power, and hopefully we've managed to provide you with some through this post.